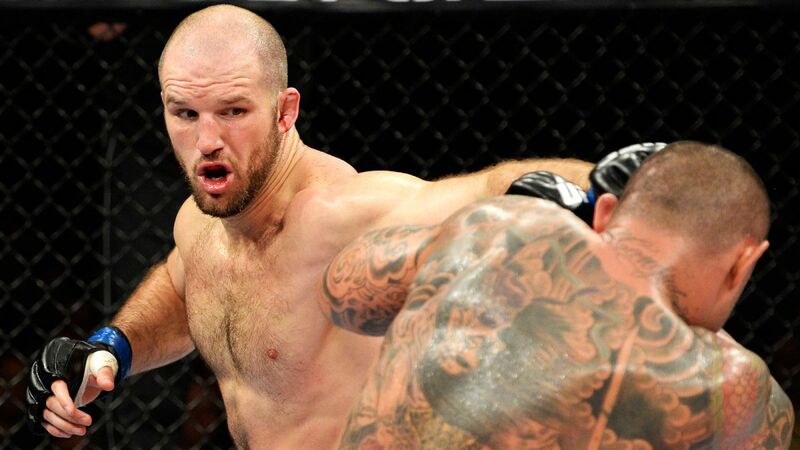 Matt Hamill is struggling in finding another fighter that is willing to fight him. In his latest Twitter/Facebook post, he wrote, “Still no luck to fight. @BellatorMMA won’t answer. @KSW_MMA won’t answer. One Fc no opponent. M1 won’t answer. Are they afraid of me?”. Still no luck to fight. @BellatorMMA won't answer. @KSW_MMA won't answer. One Fc no opponent. M1 won't answer. Are they afraid of me? Does it begs the question, why are some fighters not willing to fight against him? Hamill last fight was two years ago when he fought against Thiago Silva on October 9th, 2013 when in lost in the third round with unanimous decision by losing in a knockout fight. Before this fight, Hamill took a yearlong retirement, but since this fight, is still struggling to get another fight. Bellator, founded in 2008, features a single-elimination format that awards the winnter of each eight-person or four-person tournament a check for $100,000 and a guaranteed world title fight against the current Bellator world champion. Six day ago, Matt Hamill posted a video to Scott Coker, the Bellator MMA President in which, he ask for another chance. With Matt Hamill saying that he’s in the best shape of his life you would think that Bellator would consider giving him a chance? Six days later, it still has been very quiet. Bellator MMA has found success in creating storylines and a plausible storyline as Hamill suggested would be a fight against Tito Ortiz. Ortiz served as Hamill’s coach on season three of the Ultimate Fighter. The two became close, but would eventually fight in the UFC in a bout of student vs. teacher. In this case, the student won. Hamill defeated Ortiz via unanimous decision at UFC 121. Ortiz recently racked up a string of wins in Bellator MMA before losing his most recent fight, a title bout against champion, Liam McGeary. Ortiz wants nothing more than to get a win in before officially retiring, and a rematch between Ortiz and Hamill will grab interest among fans. Nevertheless, Matt Hamill still has some other options of Bellator doesn’t respond such as M-1 Global and ONE Championship, however, those options are difficult since American fans will have a hard time buying into those fights. The last option(s) would to be to go oversea and fight in others countries. Yes, this would be much harder, but he could gamble by spreading his name overseas that bigger MMA fights might be willing to allow him to complete again. If you believe that Matt Hamill should have a chance to fight in Bellator, pick up your phone/laptop and go on Twitter, Facebook, Instagram. #HamillFightBellator. PREVIOUS Previous post: Connect. Discover. Influence.